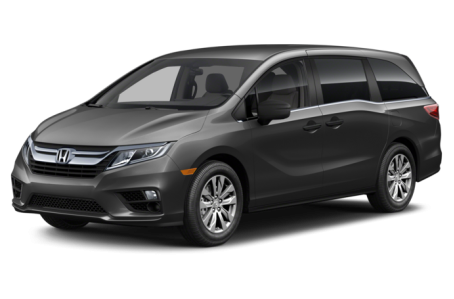 The 2019 Honda Odyssey is a popular family minivan that seats up to seven passengers across three rows. It is powered by a 280-hp, 3.5-liter V-6 engine mated to a standard nine-speed automatic transmission or an optional 10-speed automatic. Inside, the cabin features the “Magic Slide” second-row seats that allow you the conveniently arrange the layout of the second row. Five trims levels are available: LX, EX, EX-L, Touring, and Elite.